Lynn Williams scored the game-winning goal just 49 seconds into her first international appearance for the U.S. women. SANDY, Utah -- A year from now, the mountains that loom beyond the eastern rim of Rio Tinto Stadium will look the same as they do now. The U.S. women's national team? Not so much. Close your eyes for even a second, and Allie Long is a defender. Take too long coming back from a halftime hot chocolate run and, what do you know, Lynn Williams has appeared in her first game and scored her first goal for the national team. If Wednesday's game against Switzerland was supposed to be a demonstration of change, it didn't disappoint. The 4-0 win wasn't conclusive in any particular respect. But it was definitely different and thus interesting. 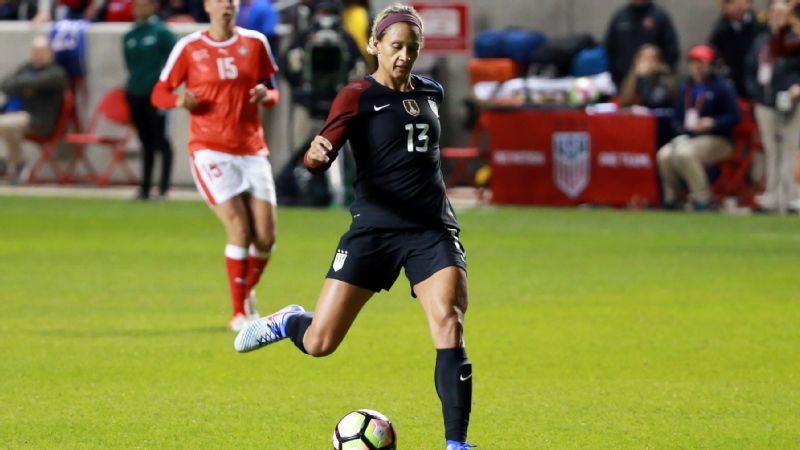 "I think it's great for the environment with the national team," said Morgan Brian, who in two years has gone from World Cup rookie to wise, old sage. "It makes it way more competitive, like Jill's been saying. It's only going to push us to get that much better for the next three years." 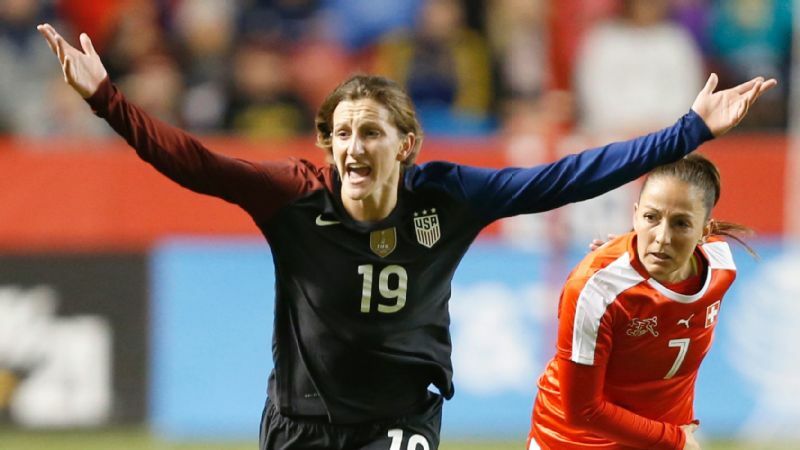 If U.S. coach Jill Ellis wants competition as the cycle begins for the 2019 World Cup and 2020 Olympics, Williams and Andi Sullivan highlighted the best-case scenario of what that looks like. 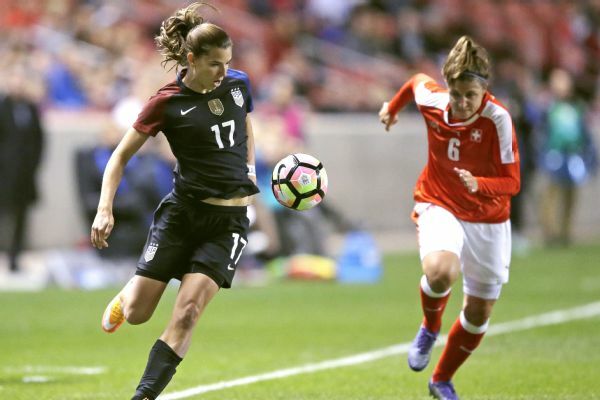 Five players debuted for the United States in front of 14,336 fans Wednesday. None fell on their faces. Williams excelled; she scored the game's first goal just 49 seconds after entering as a substitute to begin the second half. And Sullivan succeeded in the middle of good play. "I thought they were fantastic," Ellis said. "As much as they were allowed to express themselves, they also fit within the system. I was very impressed. Andi's poise, her passing -- I think she's mature beyond her years, in terms of her first time in, and she looked like she's been doing it for a while. Lynn, obviously a great finish. Her work rate, penetration, back to pressure -- she's pretty multi-dimensional." Just over a week ago, Williams capped a breakthrough professional season with the Western New York Flash by scoring a late equalizer in the dying seconds of overtime in the NWSL final. She and the Flash went on to claim the title in penalty kicks in Houston, and then after a quick stop back in Buffalo, she was off to Utah. On Wednesday, she raced in on goal in the opening minute of the half. Williams slotted the ball into the net; she was calm enough to take one final touch that opened up the shooting angle to go back across the goalkeeper. "When they first told us we were going in, some nerves come over your body," Williams said. 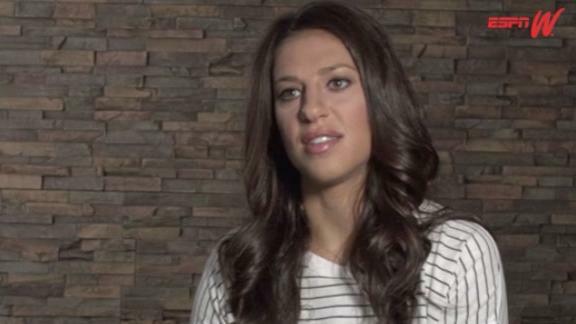 "But Carli [Lloyd] came up to me and said, 'Just connect your first pass and go from there.' And then Sam [Mewis] came up to me and said, 'Lynn, you don't have to be anything that you're not.'" Technically, Williams' first pass came after her first goal, but the message holds. The play Williams made to set in motion the third goal -- after Tobin Heath doubled the lead -- was in some ways more impressive than the goal. Williams sent a sublime pass to Kelley O'Hara in the right corner, and O'Hara set up Christen Press for an emphatic finish. It's more difficult to put together the highlight package for Sullivan, but she was no less impressive. A college junior, she played the No. 6 position with confidence beyond her years. Andi Sullivan notched her first cap Wednesday, along with Casey Short, Lynn Williams, Ashley Hatch and Abby Dahlkemper. Early in the game, she turned her back at midfield and was knocked off the ball by a Swiss player. Sullivan looked at the referee as if expecting a whistle but got nothing. Far from rattled, she went about her work, connecting passes and putting the teammates in front of her in good spaces. Ellis has said repeatedly that she still doesn't know Sullivan's best position, and indeed, she has excelled as a No. 8 for Stanford this season. But a longtime holding midfielder, she looked mighty comfortable there Wednesday. 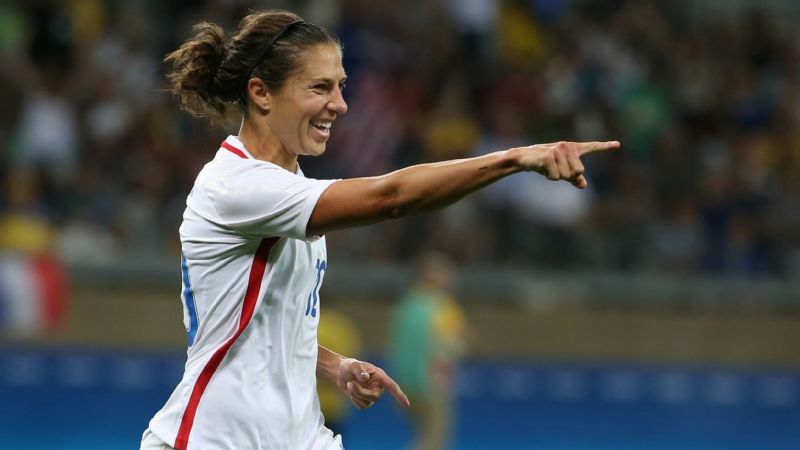 "I think she, Lindsey [Horan] and I played pretty well together," Brian said. "I think we found seams and played off of each other. She was very composed and calm on the ball." And yes, if you're doing the math at home, that adds up to three midfielders in the center of the field. The biggest surprise before the game wasn't the names in the lineup. More jarring was the way the U.S. women lined up, placing midfielder Allie Long between Becky Sauerbrunn and Emily Sonnett in the last line of a 3-5-2 formation. 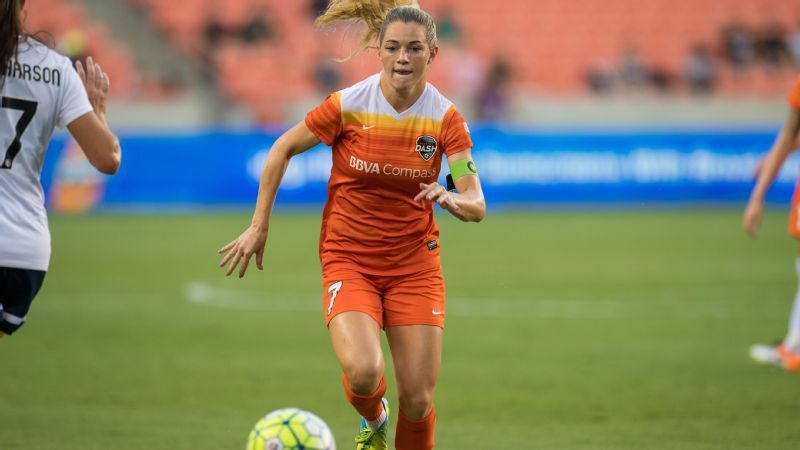 Given that Ellis just released one center back from contract (Whitney Engen) and says she is looking to add to the position, it might seem a curious move to play three of them together, especially when one isn't a center back by trade. "I think in our attacking we've been kind of rotating to get to that shape," Ellis said, pointing most recently to the game against the Netherlands last month. "I said, 'You know what, it's time for us to kind of, honestly, experiment and try new things.' What I like about Allie is she has a profile; she's good in the air, she's a very good communicator. And her passing gives us the ability to play those penetrating balls and keep possession and build." Playing somewhat shorthanded and rather listlessly, Switzerland didn't do much on the offensive end, but the U.S. women had a couple of dicey moments after miscues. Still, there was no denying the amount of buildup play the United States was able to accumulate. "We only have three in the back, which gets a little scary sometimes," Brian said. "But we have some of the best defenders in the world, so it's a pretty great formation for us. It gives us a lot of numbers centrally to be able to combine and play a good brand of soccer, which I think we enjoyed tonight." The first test to replicate the energy comes Sunday against the same Swiss team in Minnesota. "The coaching staff and the veteran players have been super proactive about getting us up to speed and including us in this team, which is really special," Sullivan said. "To be able to bring in a bunch of new players and still put on a performance like we did tonight, I think that says a lot about the leadership of this team." What does it mean? Who knows. It was one game in October, a long time from any game that matters. But if any conclusion can be drawn, it is that this will be interesting. Graham Hays covers college sports for espnW, including softball and soccer. Hays began with ESPN in 1999.